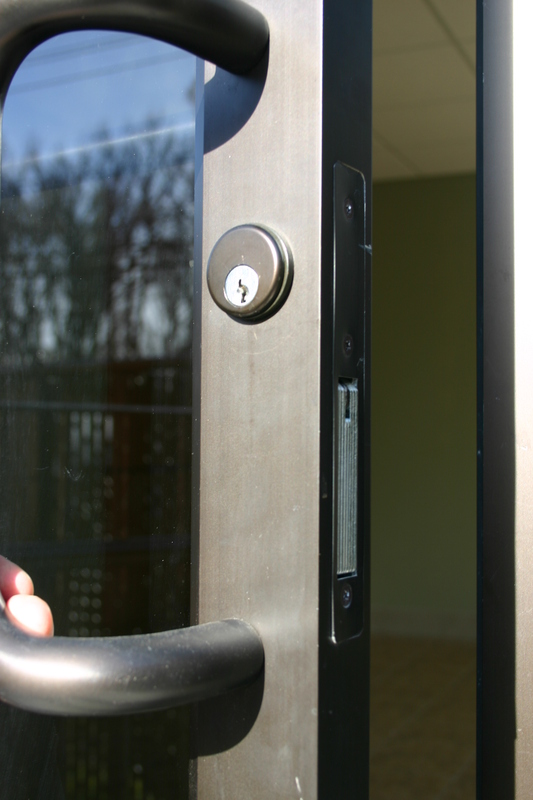 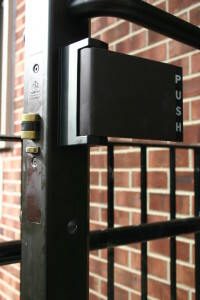 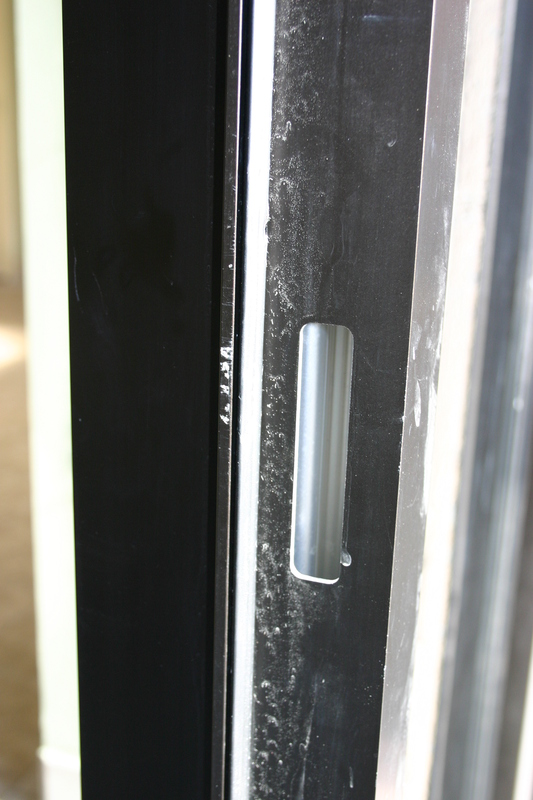 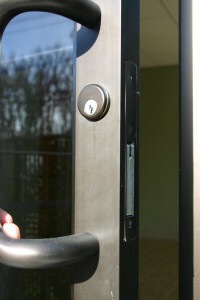 At Union Medical Park in Union, New Jersey, Bill's Lock, Safe & Security was called upon to install hardware on a glass and aluminum door to allow timed unlocking and locking of the door. 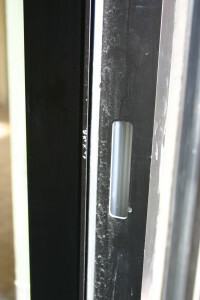 The pictures above show the original Adams Rite MS1850S dead bolt lock and cutout in the jamb for the strike. 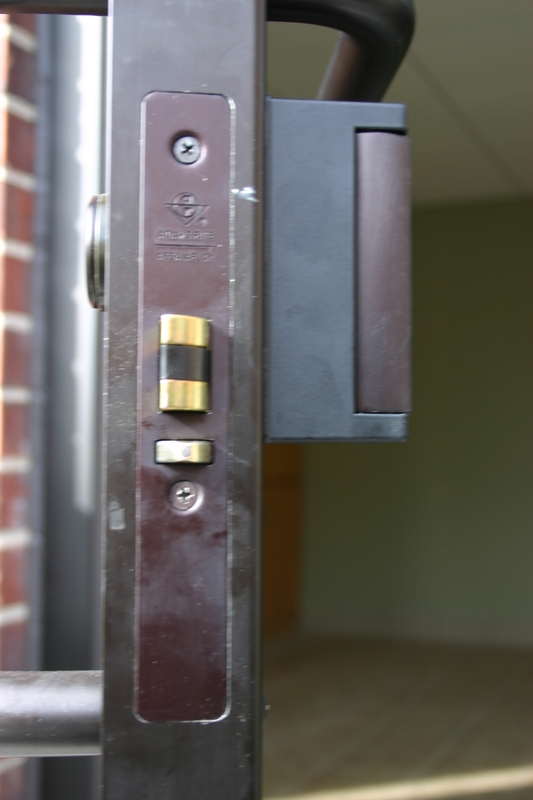 Bill installed a new Adams Rite 4500 Series latch with an Adams Rite 4590 paddle operator and an Adams Rite 7130 electric strike, all in a dark bronze finish. Bill then wired in a Securitron DT- seven day programmable timer and set the schedule.